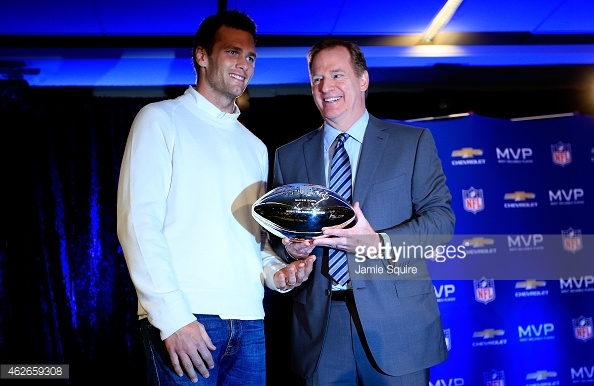 NFL: Deflategate, Why would Roger Goodell Go After Tom Brady? | NFL News, as it happens, when it happens. Your one stop shop. NFL: Deflategate, Why would Roger Goodell Go After Tom Brady? From the first pages of the Wells Report, it’s clear that Tom Brady was in the NFL’s crosshairs. It took a logical stretch, but Mr. Wells was sure to hang that “more probably than not… generally aware” label on old number twelve, opening the door for Troy Vincent and Roger Goodell to slap him across the teeth with a good, hard punishment. The suspension itself proves that Brady must be guilty, some people say. Why would Roger Goodell go after Tom Brady, maybe the most recognizable face in the NFL, a man who has done nothing but promote good sportsmanship and class for the past decade and a half? Why would he punish him so severely, unless he had no choice?